 Maps Made Easy provides a lot of different ways to share your map creations. The Sharing section of the Map Detail page allows the map's owner to control where their map can be displayed and who it can been seen by. The main feature of the Maps Made Easy linking system is whether or not something is private or public. If a map is public, the public version of the link (the one that has /public/XXXXXX in it) will work for anyone who has that link. It is up to the map's owner to decide how to disseminate that link. It will only ever be as public as the owner makes it. It does not get indexed, made searchable, or made available by any other means. If a map is private, the public version of the URL will not work and will show an error message instead of showing the map. The only way to view a private map is to be logged in with the credentials of the map's owner. Making a map private after it has previously been made public will shut off the service of the public URL. Please refer to our terms of service for more details. All of the entries have a tool tip that is displayed when the title is hovered over. These tool tips are there to explain what each item does. To modify the values of any of these settings the the user can click on the green check or the red X to change the value. This will bring up a check box that can be changed. For the change to be accepted (or rejected) clicking the green check or the red X next to the check box is required. The value will not be updated until the acceptance check and rejection X are gone and the new setting is shown. In the example below, Public Hosting will not be turned off until the green check is clicked to accept the change. Clicking the red X would put the value back to its previous setting. Many of the following settings require the Map Detail page to be reloaded before they will take effect. The "Public Hosting" setting is the main control over who can see the map. If it is unchecked, the "Public Link" (the one with /public/XXXXX in it) will not be served if it is visited and an error message will show in its place. If it is enabled, visiting the "Public Link" will allow users not logged in as the map's owner to see the map. If the map is marked as public, it is not indexed by search or published anywhere. A public map is only as public as its owner makes it. The "Include in MME Gallery" setting is way to share your work with other Maps Made Easy users and show people what can be done with the system. Maps with this check box enabled will potentially be shown in the Maps Made Easy Gallery. The "Enable Public Measurement Tools" setting will allow viewers of the public version of the map to see the polygon tool for making area measurements and the line tool for making path length or distance measurements. The "Allow Public Annotation" setting will make it so users that are not logged in as the user of a particular map can still make annotations that will be saved. Public users cannot currently delete any annotations that are added. The "Enable Public Measurement Tools" setting must also be enabled to give the public users access to the annotation tools. The "Public Elevation Layer View" setting, which is enabled by default, allows the colorized elevation layer to be shown in the publicly shared map. In instances where the elevation data is not needed or relevant, this layer can be suppressed by unchecking this setting. The "Public Views" section is a counter for how many times the public version of the map has been viewed. The "Public Link" is the URL that the map's owner can share with others to allow them to see the map without needing to be logged in. The "iFrame Embed Code" is an HTML code that can be inserted into any HTML page to embed the public version of the map in any site without exposing the www.mapsmadeeasy.com part of the Public Link to anyone that isn't digging through the page's source code. Most blog platforms such as WordPress and forums will allow some sort of iFrame embedding. Basically, this is a way for Maps Made Easy to host a user's created maps and allow them to be embedded in their own site without exposing where the data came from. The Maps Made Easy Sample page maps are all embedded in the page using this method. The "Attribution Text" is a text setting that should be the name of the entity that created the data.  In the image below, "ACME Aerial Company" is the company that created the data. The "Attribution Link" is a text setting that should be a URL that makes the Attribution Text into a link to the website of the data creator.